There was a time in the Hindi film industry when idealism was highly valued. From Guru Dutt’s Pyaasa to V. Shantaram’s Do Aankhen Baarah Haath, from Mehboob Khan’s Mother India to Hrishikesh Mukherjee’s Satyakam, the protaganists were people who lived and died for their ideals. Their idealism was stubborn even though it gave them great personal pain. Things started changing in the 70s when the hardships of stubborn idealism gave birth to personal frustration in the new generation – which found an outlet in the angry young man persona. At the same time, the hippy culture was bringing in a new wave of individualism. The youngsters of the era started turning rebels which was well captured by Raj Kapoor in Bobby, which had teenage lovers rejecting their parents authority and eloping. However the idealism was not totally lost, as the older generation held on to it. 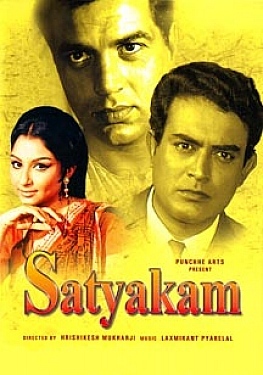 Film makers like Hrishikesh Mukherji were quick to realise that Satyakam’s self-destructive idealism will have to give way to a more realistic one. 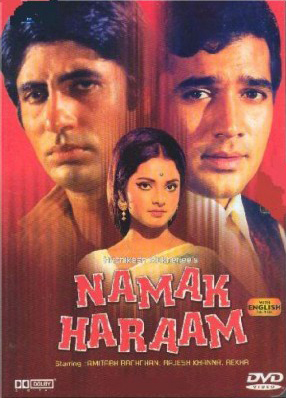 So came films like Namak Haram which looked at idealism with cynicism but still gave in to it in the end, and Bawarchi which celebrated the ideal family with all its bickering and personal jealousies. However, the 80s decade with its lack of character took Bollywood to the depths of mediocrity. The films in this decade were mostly about making a lot of noise and nothing else. Fortunately, a new breed of film-makers emerged towards the end of this decade who believed in individualism but not without idealism. The late 80s and early 90s saw the return of protaganists who valued tradition and at the same time had a mind of their own too. Sooraj Barjatya’s Maine Pyar Kiya saw its hero rejecting his father’s authority, but accepting the demand of his lover’s father to stand on his feet before marrying his beloved. Mansoor Khan’s Jo Jeeta Wohi Sikandar’s hero was a selfish wastrel who woke up to his responsibilities when his idealistic older brother was wrongfully attacked. Aditya Chopra introduced a hero in Dilwale Dulhaniya Le Jayenge who was as irreverent as he was responsible, who refused to elope with his beloved and tried to win over her parents instead. However, at the same time (early 90s) a new kind of leading man was making his place in the audience’s hearts and minds – the anti-hero. He was a hero who believed in getting what he wanted, by hook or by crook. The success of films like Baazigar and Darr brought in shades of grey to the character of the Hindi film hero which had been more or less ‘white’ till then. The aspirational generation of the 90s (buoyed by the economic reforms) identified with the grey shades more than the pure white. And so mid-90s onwards there was a marked increase in individualism and decrease in idealism in our films. As with the youth of the country, the Bollywood heroes too became more concerned about success than the means to achieve it. This became even more obvious in the Y2K decade with the women too asserting themselves and wesaw films like Aitraaz, which had its heroine marrying an old man for his money and then propositioning a younger man to be her ‘keep’. Biwi No. 1 saw a married hero who kept a mistress on the side and was totally unapologetic about it. Big grossers like No Entry had the audience cheering for married men cheating on their wives. Even the hugely applauded and motivating films like Rang De Basanti and Chak De India were more about personal angst than upholding personal ideals. The cynicism for idealism has never been as marked as it is today. The anti-hero, who was a novelty in the 90s, is a normal occurrence now. Movies on con artists and stylish thieves have been doing very well at the box office. The audience cheers for protaganists who are successful in life – it doesn’t matter if they are getting the success legally like in Band Baaja Baarat or illegally like in films like Dhoom, Don, Bunty aur Babli etc. A Silk Smitha is cheered on for being unashamedly ambitious and a Geet is whole-heartedly supported for running away from an undesirable marriage even though it means hurting her family. Two years into the current decade and looks like it too will follow the success-worshipping mantra of the last one. Among the film makers around the only ones that come to mind for upholding idealism in their movies are Sooraj Barjatya, Ashutosh Gowarikar and Raju Hirani. Barjatya’s rooted Indian-ness in films like Hum Saath Saath Hain and Vivah has held its own strongly against the more modern film makers. Gowarikar’s films have an underlying theme of social consciousness be it Lagaan, Swades, Jodha Akbar or Khelein Hum Jee Jaan Se. Even a rom-com like What’s Your Rashee had its say on social issues like dowry and child-marriages. 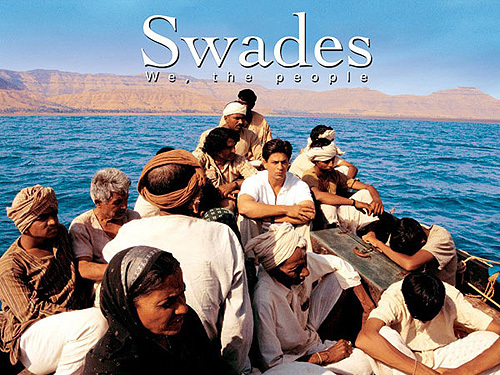 Barjatya and Gowarikar’s idealism comes across as naïve at times – Vivah and Swades are examples of naïve idealism at its height – but it has its own heart-warming quality that one yearns for in these cynical times. Raju Hirani is the more successful film maker of the three, maybe because he is clever enough to mix his idealism with just the right amount of irony and humour. Not many directors could have created a character like Munnabhai and taught Mahatma Gandhi’s ideals to Gen X in such an entertaining and impactful way. Vidya Balan famously says in The Dirty Picture, “Films work for three reasons – entertainment, entertainment, entertainment”. Alas most film makers today read entertainment as ‘mindless entertainment’. And sadly idealism has no place in mindless entertainment. 16 queries in 0.627 seconds.